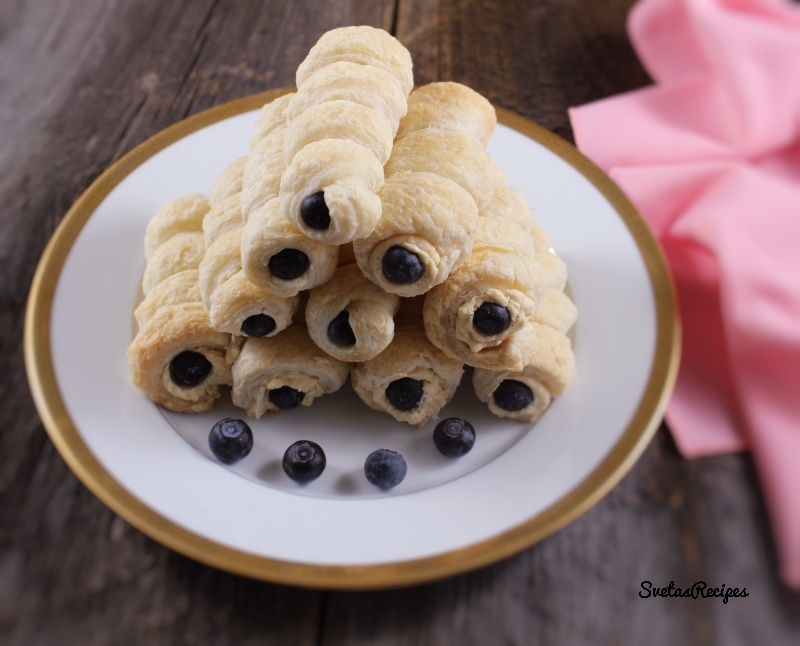 Puff Pastry cream horns are pastry made with puff pastry, and whipped cream. 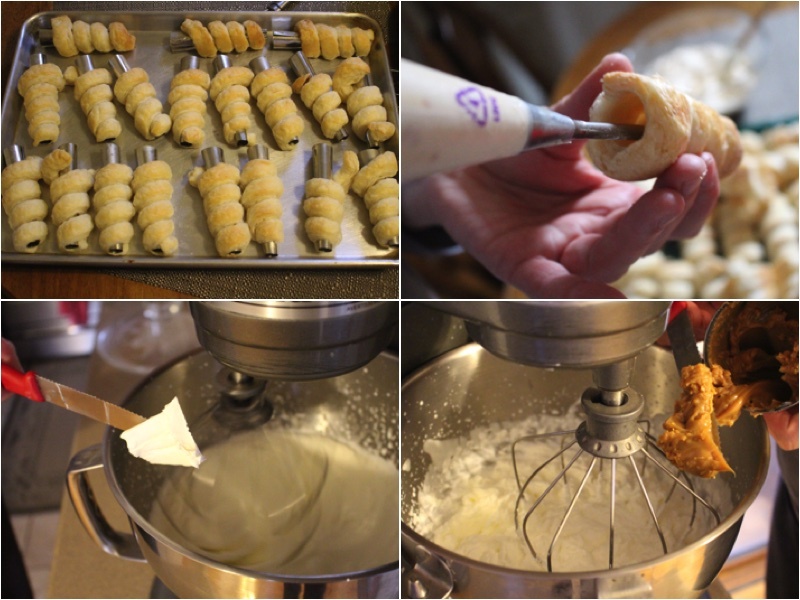 Also can be done with meringue and it is called meringue horn. The horn shape is made by winding overlapping pastry strips around a conical mould. 1.) 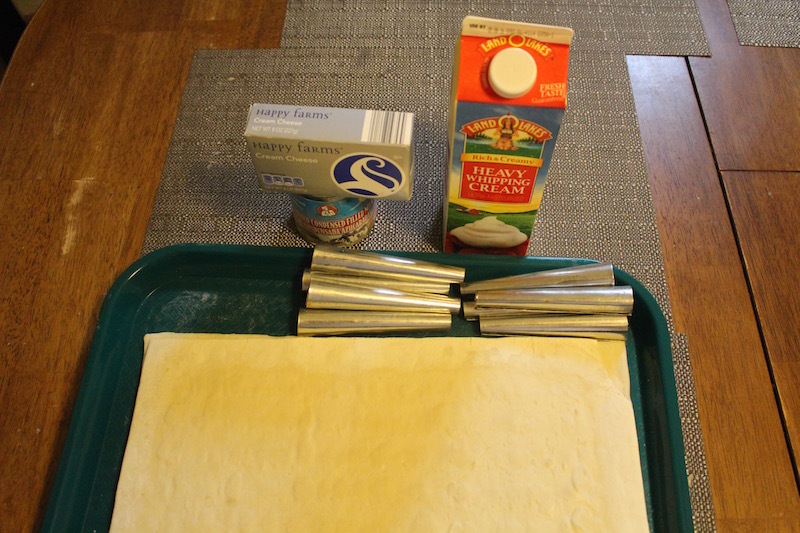 Cut your puff pastry sheet into 18 long strips. (Cut both sheets) Using cooking spray coat your horn moulds. Using 1 strip wrap it around the mould. Place it on a already sprayed pan. Cook for 20 minutes on 400 degrees F. 2.) Carefully remove the horns from the moulds when its hot, so it doesn’t break. 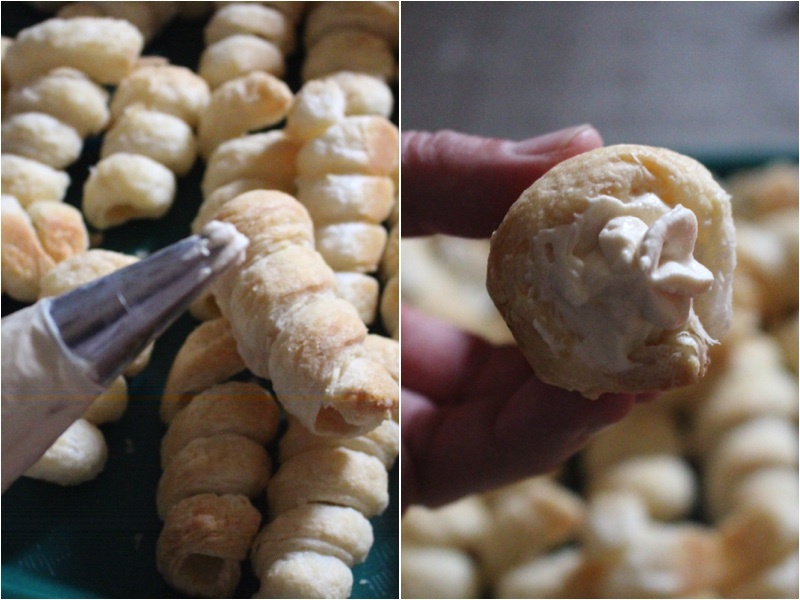 To make your cream, mix together your cheese cream, and heavy cream after thats mixed also add Dulce De Leche. (Mix it again.) After using a decoration bag with a rounded tip, pipe out cream from top to bottom. 3.) Now switching to a star tip pipe out small flours at the ends. If you would like you can add blueberries also. Last but not least place on a serving dish and enjoy. 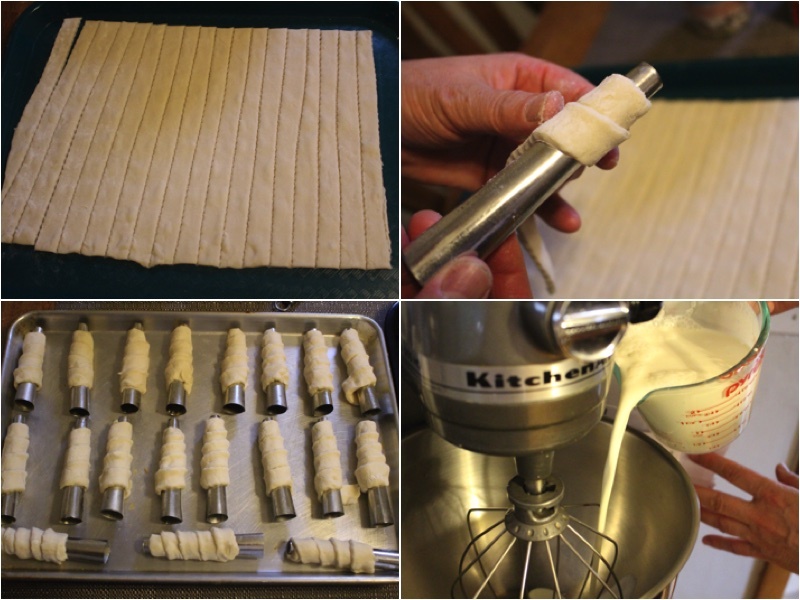 Cut your puff pastry sheet into 18 long strips. (Cut both sheets) Using cooking spray coat your horn moulds. Using 1 strip wrap it around the mould. Place it on a already sprayed pan. Cook for 20 minutes on 400 degrees F.
Carefully remove the horns from the moulds when its hot, so it doesn’t break. To make your cream, mix together your cheese cream, and heavy cream after thats mixed also add Dulce De Leche. (Mix it again.) After using a decoration bag with a rounded tip, pipe out cream from top to bottom. Now switching to a star tip pipe out small flours at the ends. If you would like you can add blueberries also. Last but not least place on a serving dish and enjoy.